Is a Unique Setting Necessary to the Goodness of a Novel? Maybe there are two kinds of posts, those that are opinion and those that require research. The second could also include opinion, of course. After reading a comment by Saytchyn (see comment to previous post) that didn’t actually make it into the comments section for some reason, I decided to write separately about my thoughts on the ten characteristics of a First Class Novel. What she said was that what met the criteria was subjective, and of course it is, but it also seems as if at least a few of the categories might have more objective measures. For one, transporting us to “unlikely cultures or times” seems as it can be objectively determined, although I’m not clear on the qualifier, “unlikely.” The reader should know if a book is set in a culture, country, or time in which they have never participated. Yes, few of us alive have been to a time prior to 1914. Does that give all historical fiction a point in the 1st class category? The book that Saytchyn mentions, The Bone Key by Sarah Monette, is set in England. If the reader has never traveled to London, does this qualify it as an “unlikely culture”? What if you have visited? What about an English reader living in London? Are they likely to think less of the book if they are familiar with the setting? Here is the list of the first ten adult fiction books I have listed on Goodreads. Not sure why they are in the particular order they are, maybe by date I rated them? I’ll give a quick assessment of whether or not they meet the culture/country/times criteria. 4. 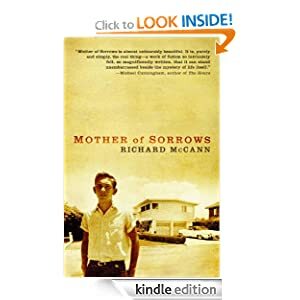 Mother of Sorrows (Richard McCann)–suburban Eastern US, 1950s or 60s.This would seem like a no for anyone over 40. No. 7. What’s Eating Gilbert Grape? (Peter Hodges) mid 20th century mid-American small town. No, at least if you’re over 25. 8. A Dangerous Woman Mary McGarry Morris –20th century small town. No, again, if you are over 25. 9. 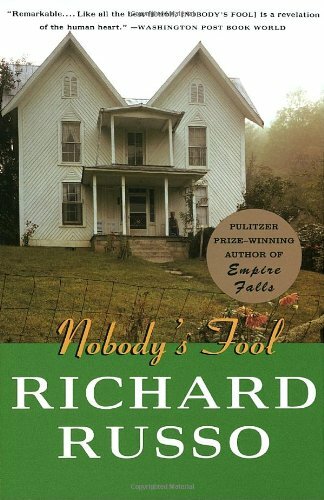 Nobody’s Fool and Straight Man Richard Russo–upstate New York, small town, 2oth century and college town in the Eastern Us. No. 10. A Patchwork Planet (Anne Tyler) –20th century Baltimore. Again, not really. What does this short analysis say? That I like books with a change in culture/time/country, but it isn’t necessary for me to think a book first class. I know from that sampling that my love of Sense of an Ending was driven by the beautiful writing. The last five were related to the characters. 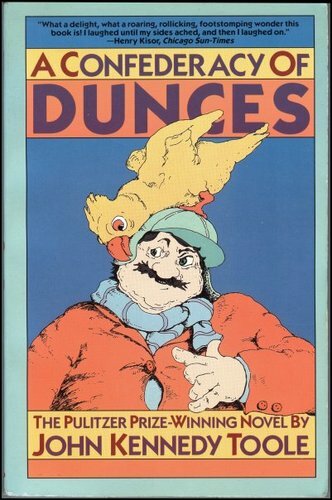 Overall, for me, although a unique, interesting, or foreign setting adds to my assessment of a book, it’s not strictly necessary for me to call a book First Class. This entry was posted on February 9, 2014, 2:35 pm and is filed under Reading, Uncategorized, Writing. You can follow any responses to this entry through RSS 2.0. You can leave a response, or trackback from your own site. For me, I’d say it’s not so much about having a unique setting; rather, it’s about having a uniquely presented setting. It can be a common or simple location (someone’s house, a generic shopping mall, or whatever), but it helps the narrative to stand up if that setting is carefully drawn, if the reader can experience it viscerally along with the characters, in a way that holds meaning for that particular story. The setting is a supporting character in the story in a sense, and I suspect it would be hard to find a “first class” novel that doesn’t make great use of setting.